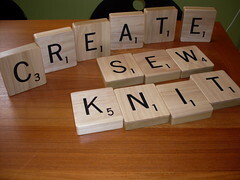 Check out these giant Scrabble tiles that my sister made for me. Pretty cool, huh? You can see other views here, here, and here. She MADE them? I want some! !